Well, just in time for the end of Rocktober, I finished Jessica Topper’s Louder Than Love. Have you? What are your thoughts on it? You can read mine here, but here’s a preview: A West of Mars Recommended Read. You’ll have to click through to read exactly why, though. Jessica Topper is giving me an exclusive interview with Adrian from Louder Than Love on my blog on 11/8! I am collecting interview questions from any and all fans who want to know more about the British rocker that stole our hearts! If you have any burning questions for Adrian, please email them to heasrus at yahoo dot com by Friday, November 1! With Rocktober winding down, it’s time to catch up on some books I’ve come across in other areas. Deena at e-Book Builders has been an amazing Rock Fiction proponent and a huge Rocktober participant this year. Let’s be sure to give her props, shall we? Sanguinary, by Emma L Edwards. A reporter is asked to investigate why there are rumors of a band that’s linked to blood sucking. She introduced us all to author Lisa Gillis and her Silver Strings series, which is about a couple trying to make it work. Currently there are two books… might there be a third? Geoffrey West is featured with an excerpt of Rock and Roll Suicide (a title that sounds like it belongs to RJ McDonnell! And then there’s the highly regarded Jill Edmondson. She stopped in at e-Book Builders with an excerpt of her third entry in the Sasha Jackson mystery series. Confessions from Romaholics had the cover reveal for Eden Summers’ Passionate Addiction. 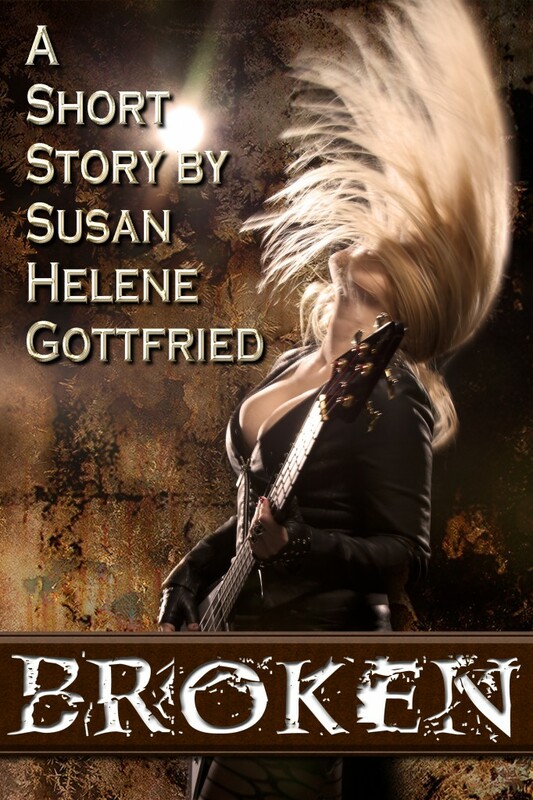 This won’t be released until after Rocktober ends… maybe next year, Eden will release a Rock Fiction novel during Rocktober. I’d be glad to host the hoopla for that bit of fun. Here’s something a little different for you. Leslie Moon, whose blog I drop in on from time to time thanks to Triberr, has written a flash Rock fiction. Go check it out! She’s featuring author Rick Soper, who writes a Rock Fiction series that sounds intriguing, if a bit overpopulated (By Rick’s own admission, which makes me even more curious to read this series). Go check him out. Let me know if you’ve read his books, and what you think if you have. I’m curious. Why’s there a Rock in my Heart? It’s Rocktober, so that can only mean that the ROCK refers to rock fiction, not geologic features (a question I get asked more often than I’d like to admit). And today, it also refers to Tommie Vaughn, herself an industry veteran. She has a debut novel out, and it’s titled… ready? This Rock in my Heart. Tommie was kind enough to send me a copy of This Rock in my Heart to review, and I did that, so go read it. And then go pick up the book and see if you agree with what I had to say. Remember, if you can leave a few words of your own thoughts on any site — GoodReads, book retailers large or small, a blog, a friend’s blog — it all helps the author. Not as much as handing your copy to a friend or (even better) handing them a brand-new copy, but it’s a help, all the same. Actually, author Amber Best was kind enough to send me a promo copy of her book, The Back-Up List, so I really can’t say I’m wishing to read this one. Wishing for the time to read it… now that is a different story entirely. The Back-Up List has only ever been a joke- thatâ€™s it. Madison Grey has a celebrity crush list of possible replacement husbands ready with the off-chance her husband might inexplicably vanish. Clearly, Madison was not prepared for- A. her husbandâ€™s untimely death and B. Calvin Hunt, rock god and top man on her Back-Up List to begin crushing on her. Talk about your cruel cosmic ironies. It has only been six months since her entire family was killed in a tragic accident and heâ€™s looking to her for a hook-up! Really? Calvin Hunt, rock icon, is living the dream of any womanizing man-whore- that is until he spots the first unavailable woman heâ€™s ever met. What the hell? Is she gay? Heâ€™s busily seducing her with concert tickets and exotic getaways, all while heâ€™s touring. There are plenty of obstacles heâ€™ll have to overcome to be with her and heâ€™ll need all the help he can get from his stoic bodyguard, his nosy Oprah-channeling brother and even Madisonâ€™s bizarrely quirky friends who are all fighting to cross his name off of Madisonâ€™s Back-Up List. Come ON! What a concept!! I gotta read this one… maybe we’ll do it as a Readalong. What do you guys think? Remember a few weeks back, when I mentioned I’d read a Rock Fiction novel that was so good, it very well needed to be included with Fat Kid Rules the World as one of THE BEST Rock Fiction works of all times? And remember how I said you’d have to wait until Rocktober to hear about it? Well, here you go. You’re hearing about it. The book is How the Mistakes Were Made, written by Tyler McMahon. I’ll let you click through and read my review, but I’m warning you now, it’s a long review. It’s worth it. I love, love, loved this book. I’m not just posting about Rocktober over here, I’m over at e-Book Builders, myself, with an interview about myself. Stop in and learn some things about me. I’m pretty cool. Louder than Love: A Rock Fiction Readalong! Everyone’s talking about Jessica Topper’s Louder than Love, and she was kind enough to send a copy my way. I’m around page 50, so it seems like the perfect time to ask you guys if you are reading it, if you have read it, or if you’ll consider hopping over to your favorite bookstore (indies are always the best) and picking up a copy of your own. Join me in the story of Katrina the widow and her adventures… Fifty pages in, it’s darn good stuff!